If you now own broken glass after Wednesday's hail storm, the city of Dallas is asking people to dispose of it propery, and safely, and that may not include recycling. Broken Glass? Have you got skylight, window or car glass damage caused by the recent storms? Learn how to dispose of it properly. While glass containers are one of the city's accepted recycling materials in both the Big Blue recycling roll carts and the public blue bins, the City DOES NOT collect window glass, plate glass, light bulbs, ceramics, mirrors, pyrex or fiberglass in its recycling program. 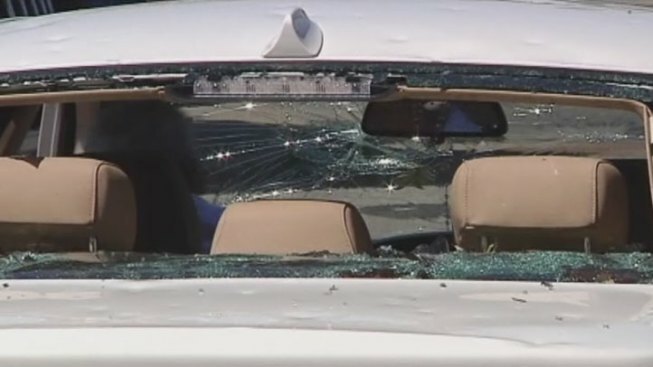 Businesses with broken windshields and other glass such as those described above should contact their commercial garbage provider for disposal instructions. Residents with broken glass such as those described above should place the glass in brown paper bags and then dispose of the bagged glass in their gray garbage roll cart.